You must report to the Sheriff's Community Work Program (SCWP) within 48 hours of your release from jail or court. Bring your court or release paperwork and a picture form of identification. During your sign-up, we will schedule the days for you to complete your community service. Our work hours for community service are Tuesday, Wednesday, Thursday, Saturday and Sunday 7:00 am to 3:00 pm. Have in mind the days you are not working your regular job and are able to obtain childcare before coming in to sign up. Defendants must complete a minimum of 8 hours per week. Work is available in 8 hour increments. When submitting an application to participant in the Sheriff's Community Work Program (S.C.W.P. ), A FEE OF $25 for 1-40 HRS. $35 for any hours over 41 WILL BE REQUIRED . This fee is due and payable upon completion of the application, and is non-refundable. 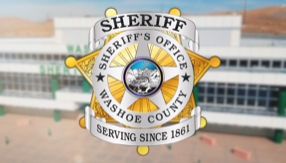 Transportation to the Sheriff's Community Work Program is your responsibility. All participants are subject to search while in the Sheriff's Community Work Program Office or on the assigned job site. Persons found in possession of contraband shall be canceled from the program and may be subject to criminal charges being filed. Contraband includes: alcohol, narcotics of any type, prescription drugs and any type of weapon. You will not be permitted to have visitors, make telephone calls, or carry a cell phone or pager. You are to provide your own lunch. You will not be allowed to leave the work site. You are not to communicate at the work site with anyone other than your supervisor or other participants. Reporting for work in an intoxicated condition or under the influence of drugs or alcohol will be cause for cancellation from the work program and possible criminal charges filed. All participants are subject to random drug and/or alcohol testing while on the program. If you are removed from the program for any reason you will not receive a refund for any funds paid. FAILURE TO COMPLETE THE PROGRAM MAY RESULT IN SANCTIONS INCLUDING ALL OF YOUR GOOD TIME TAKEN AWAY OR THE ISSUANCE OF A WARRANT FOR ARREST. WCSO is not responsible for your personal property (purses, wallets, etc). Please refrain from bringing such items to work. Any equipment issued at the beginning of the work day must be returned by the end of the work day. Failure to do so will result in no credit given for your hours worked that day.